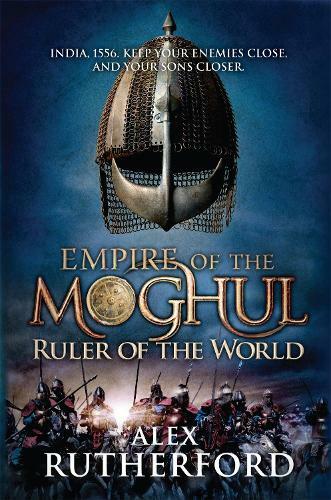 The story of the third great Moghul Emperor, Akbar, leader of a triumphant dynasty which contained the seeds of its own destruction. Akbar, ruler of a sixth of the world's people, colossally rich and utterly ruthless, was a contemporary of Elizabeth I, but infinitely more powerful. His reign began in bloodshed when he strangled his treacherous 'milk-brother', but it ended in glory. Akbar extended his rule over much of Asia, skillfully commanding tens of thousands of men, elephants and innovative technology, yet despite the unimaginable bloodshed which resulted his empire was based on universal religious tolerance. However, Akbar's homelife was more complicated. He defied family, nobles and mullahs to marry a beautiful Rajput princess, whose people he had conquered; but she hated Akbar and turned Salim, his eldest son, against him. What's more, as any Moghul prince could inherit his father's crown and become Emperor, his sons were brought up to be intensely competitive and suspicious of each other: to see eachother as rivals for the greatest prize of all. And, as Salim grew to manhood, the relationship between father and son became tainted by rebellion and competition to be the greatest Moghul of them all.